In a previous essay on the Dictator Novel, I touched on the question of whether we can concurrently have good art and good politics. It remains an open, almost rhetorical, question. The most reasonable response is that we will rarely have anything approaching good politics, but we hope (or take for granted) that we will always have the ability to create and appreciate good art, because of or in spite of an apocalyptic or at least uncertain future [note: I use the terms politics, art, and artist in the broadest possible terms]. An even more relevant question might be how much the artist treats with politics (or, to put it more bluntly, to what extent politics intrudes on art). Some think that the ideal artist should rise above petty, or quotidian, political concerns; others would claim that all art is grounded in some kind of political milieu, whether overt or not. As much as I would like to believe in the possibility of a creative genius who follows her muse isolated from the messy world around her, it is simply not realistic. Paraphrasing Aristotle, there is nothing in human life that is outside of, or untouched by, politics, and that goes for artists and writers as much as farmers, laborers, managers, and secretaries. Even Shakespeare, the ideal artist and writer, was limited by the Tudor and Stuart monarchs, and produced many propagandistic “history” plays to placate them. John Berger, in his book The Success and Failure of Picasso, states that the Cubists (1907-1914) were the last group of revolutionary artists who could at the same time be optimistic and almost wholly unconcerned with politics. Since World War One, no artist has been able to divorce herself, intentionally or not, from the real-world. Utopia is dead. For the foreseeable future, we are all grounded on the earth, condemned to be free, struggling in our various ways to survive, and, if we are able, to create and consume art. Therefore, for me, the important question in examining art is not whether or not it is political, but how politics influences artists and is manifested in their art. 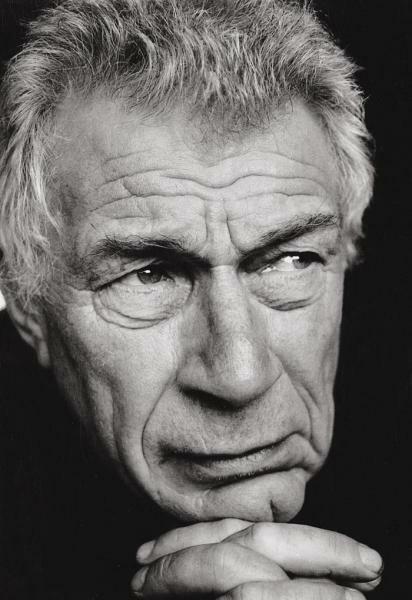 In this essay, I will examine the works of three writers and artists, John Berger, Max Sebald, and Teju Cole, who all share a “family resemblance”. All three are sophisticated, polyglot, cosmopolitan writers who combine wide-ranging erudition and serious-minded aesthetics with a profound sense of humanity and social justice. All three are cross-genre writers, combining fiction, essay, criticism, and memoir; all three employ embedded photographs or drawings to support their prose. They all thoroughly investigate the arts in their stories and essays: Berger focusing especially on painting and drawing, Sebald on architecture, and Cole on photography. They are all self-imposed exiles from their homeland who use their own cross-cultural experience to reflect on the lives and sufferings of others. Politics, on the other hand, is treated differently by the three: Berger was a highly engaged marxist whose politics were central to most of what he wrote; Sebald’s work always deal obliquely or subtly with politics; Cole lies in between these two extremes. All three benefit from being able to live and work where they want, in free societies where politics does not interfere with art; nevertheless, all three extend their perspective beyond artistic solipsism well into the the political project of global justice for all. Before the slave trade began, before the European de-humanised himself, before he clenched himself on his own violence, there must have been a moment when black and white approached each other with the amazement of potential equals. The moment passed. And henceforth the world was divided between potential slaves and potential slavemasters. And the European carried this mentality back into his own society. It became part of his way of seeing everything. The novelist is concerned with the interaction between individual and historical destiny. The historical destiny of our time is becoming clear. The oppressed are breaking through the wall of silence which was built into their minds by their oppressors. And in their struggle against exploitation and neo-colonialism — but only through and by virtue of this common struggle — it is possible for the descendants of the slave and the slavemaster to approach each other again with the amazed hope of potential equals. G is a picaresque novel based around a Casanova-like protagonist in pre-World War One Italy. The most memorable sections for me are about the first flight over the Alps, and the dark atmosphere in Trieste before the war. With the rest of the Booker Prize money, Berger spent years researching and writing A Seventh Man, a photography-based book about the struggles of migrant workers around Europe. One of his later novels, To the Wedding, is one of the most heart-wrenching things I’ve read (comparable with other stories of the death of one’s child such as Cry, the Beloved Country, Beloved, and The Child in Time). This beautifully written novel recounts the journey of an estranged husband and wife traveling across Italy to the wedding of their dying daughter. I have tried to show you, on the evidence of paintings from 1900 to 1952, how Picasso’s imagination and intuitions have always presented him with an alternative to modern Europe: the alternative of a simpler, more primitive way of life. The Cubist period from 1907 to 1914 was the great exception to this. Then, the influence of friends and of other artists led him to believe for a short while in the opposite alternative: that of a more complex, more highly organized, more productive way of life. Except for this Cubist period, his genius has always owed allegiance to the comparatively primitive. It is this allegiance which underlay his self-identification with outcasts in the so-called Blue and Pink periods. It is this which inspired the rage of the Demoiselles d’Avignon. It is this which explains the fancy-dress and magic with which he protected himself after the First World War. It is this which was the secret of the physical intensity of his work in the thirties and early forties when he was painting autobiographically. It is this which is now the excuse for the sentimental pantheism of most of his original paintings (original as opposed to his variations on the themes of other artists) since 1944. In his Selected Essays (2001) there are many fascinating theories and narratives weaving his erudition and knowledge of every artist in the Western canon with his political activism. As a vegan and animal rights activist myself, I was particularly interested in his “Why Look at Animals?”, which discusses in surprising detail the long and evolving relationship between humans and animals, to the mutual detriment of both. His 2011 book Bento’s Sketchbook uses the story of Spinoza’s lost sketchbook for Berger to demonstrate many of his own sketches and the story behind them. In one episode, Berger tells of how he was kicked out of a museum by an overly zealous private security guard while sketching Antonello da Messina’s “Crucifixion”, because he was not allowed to leave his backpack on the floor. The human capacity for cruelty is limitless. Maybe capacity is not the right word, for it suggests an active energy, and, in this case, such energy is not limitless. Human indifference to cruelty is limitless. So also are the struggles against such indifference. All tyrannies involve institutionalised cruelties. To compare one tyranny with another in this respect is pointless, because, after a certain point, all pains are incomparable. Tyrannies are not only cruel in themselves, they also exemplify cruelty and thus encourage a capacity for it, and an indifference in the face of it, amongst the tyrannised. Every ruling minority needs to numb and, if possible, to kill the time-sense of those whom it exploits by proposing a continuous present. This is the authoritarian secret of all methods of imprisonment. The barricades break that present. All I had to offer, old as the world, God-given, balm for pain, honey for taste-buds, promise for always, silken welcomes, oh to welcome, to welcome, knees turned on their sides, toes extended—all I had has been taken. The wedding guests are becoming a single animal who has fed well. A strange creature to find in a widow’s orchard, a creature half mythical, like a satyr with thirty heads or more. Probably as old as man’s discovery of fire, this creature never lives more than a day or two and is only reborn when there’s something more to celebrate. Which is why feasts are rare. For those who become the creature, it’s important to find a name to which it answers whilst alive, for only then can they recall, in their memory afterwards, how, for a while, they lost themselves in its happiness. W.G. “Max” Sebald died in 2001 at the age of 57 after having had a heart attack while driving near his home in Norfolk, England. He was from a small Bavarian village near the Swiss border, and lived in England as a professor of literature for most of his adult life. Though he began writing late, publishing only four books in the last ten years before his premature death, his works won him many admirers in the literary world and it is certain that his fame and recognition would have grown. What we are left with, those four novels and a collection of essays, is a unique, powerful, and extraordinarily thoughtful body of multi-genre work. His novels are classified thus only for marketing reasons–they are all similarly constructed pseudo-memoirs of a character, seemingly exactly like Sebald, wandering around Europe and recollecting, often at second or third hand, the stories of places and people he encounters. They all deal indirectly with the paradoxical European legacy of Humanism and inhumanity, in which scientific and cultural development sits alongside constant imperialist war and exploitation. He focuses especially on World War Two and the Holocaust, treating this history in comparably non-traditional ways as, for example, recent Nobel laureates Patrick Modiano and Svetlana Alexievich (in 2001, the Nobel Committee chair said that Sebald, along with Derrida, were two recently deceased authors who were under consideration for the prize). As you enter into the heart of that city, you cannot tell what you will see next or indeed who will see you the very next moment. Scarcely has someone made an appearance than he has quit the stage again by another exit. These brief exhibitions are of an almost theatrical obscenity and at the same time have an air of conspiracy about them, into which one is drawn against one’s will. If you walk behind someone in a deserted alleyway, you have only to quicken your step slightly to instill a little fear into the person you are following. And equally, you can feel like a quarry yourself. Confusion and ice-cold terror alternate. It was with a certain feeling of liberation, therefore, that I came upon the Grand Canal once again. I heard Swabians, Franconians and Bavarians saying the most unsavoury things, and, if I found their broad, uninhibited dialects repellent, it was a veritable torment to have to listen to the loud-mouthed opinions and witticisms of a group of young men who clearly came from my home town. How I wished during those sleepless hours that I belonged to a different nation, or, better still, to none at all. Sebald’s second novel, The Emigrants (1992), more explicitly takes up the theme of exile from one’s country. In four parts, it tells of four characters, all related to the narrator in some personal way, who were all emigrants from the greater German Reich before or during the Second World War. In all of these seemingly true biographies, the narrator only gradually begins to understand the deep secrets and traumas buried in these characters’ past lives, hidden under a veneer of seeming polite normality. In three of the four cases, the characters commit suicide. In the last story, the most powerful in my opinion, the narrator recounts his long friendship with a Mancunian artist and his late realization that he had never asked the necessary question of how the artist had come to live in England without his parents. The artist, based on Frank Auerbach, later showed the narrator a letter written by his mother while she and his father awaited transport to Auschwitz. The very slow and indirect unfolding in which Sebald deals with such a monumental tragedy as the Holocaust is sublimely cathartic. Again, the inspector of the Rouen fish market, a certain Noel de Marinière, one day saw to his astonishment that a pair of herring that had already been out of the water between two and three hours were still moving, a circumstance that prompted him to investigate more closely the fishes’ capacity to survive, which he did by cutting off their fins and mutilating them in other ways. This process, inspired by our thirst for knowledge, might be described as the most extreme of the sufferings undergone by a species always threatened by disaster. The almost universal practice of cremation in pre-Christian times should not lead one to conclude, as is often done, that the heathen were ignorant of life beyond death, to show which Browne observes that the funeral pyres were built of sweet fuel, cypress, fir, yew, and other trees perpetually verdant as silent expressions of their surviving hopes. Browne also remarks that, contrary to general belief, it is not difficult to burn a human body: a piece of an old boat burnt Pompey, and the King of Castile burnt large numbers of Saracens with next to no fuel, the fire being visible far and wide. Indeed, he adds, if the burthen of Isaac were sufficient for an holocaust, a man may carry his own pyre. After all, the Professor added, quite apart from their indubitable utility value, silkworms afforded an almost ideal object lesson for the classroom. Any number could be had for virtually nothing, they were perfectly docile and needed neither cages nor compounds, and they were suitable for a variety of experiments (weighing, measuring and so forth) at every stage in their evolution. They could be used to illustrate the structure and distinctive features of insect anatomy, insect domestication, retrogressive mutations, and the essential measures which are taken by breeders to monitor productivity and selection, including extermination to preempt racial degeneration. —In the film, we see a silk-worker receiving eggs despatched by the Central Reich Institute of Sericulture in Celle, and depositing them in sterile trays. We see the hatching, the feeding of the ravenous caterpillars, the cleaning out of the frames, the spinning of the silken thread, and finally the killing, accomplished in this case not by putting the cocoons out in the sun or in a hot oven, as was often the practice in the past, but by suspending them over a boiling cauldron. The cocoons, spread out on shallow baskets, have to be kept in the rising steam for upwards of three hours, and when a batch is done, it is the next one’s turn, and so on until the entire killing business is completed. His last book, Austerlitz (2001), seems like a full-length version of one of the biographies from The Emigrants. The narrator tells of his many conversations with the main character, Jacques Austerlitz, over the course of three or more decades in which they randomly meet each other in stations and libraries across Europe. Austerlitz is an architectural historian, and the narrator always recounts his own version of the many precise details about the various buildings and cityscapes they encounter in their mutual peregrinations. The narrative is presented in an even more oblique and unreliable way than Sebald normally uses. For example, a typical line from the narrator could be something like, “Years later, I remembered what Austerlitz told me his landlady had remembered what his mother had told her the night before leaving.” Austerlitz, like the narrator and then the reader, gradually learns of and then reveals the details of his background. He was raised in Wales by a pastor and his wife under the name Dafydd Elias. When his parents died he was told by the headmaster that his real name was Jacques Austerlitz. When he asked what that name signified, he was merely told, “I think you will find that it is the name of a famous battle.” That battle, as well as the Paris station named after it, play a role in the narrative. It is also notable how similar the name Austerlitz is to Auschwitz. The story comes round eventually to the fact that Austerlitz was sent on one of the last refugee boats to England as an infant, and later travels to Prague to discover more about his parents. This haunting novel is a significant work, probably Sebald’s best. Like all his novels, the narrative is supplemented by found photographs that add to or silently comment on the text. One of these is a close-up of Wittgenstein; most often they are anonymous pictures of architecture, signage, or family gatherings. In his introduction to the novel, James Wood writes: “As Roland Barthes rightly says in his book Camera Lucida, a book with which Austerlitz is in deep dialogue, photographs shock us because they so finally represent what has been. We look at most old photographs and we think: “that person is going to die, and is in fact now dead.” Barthes calls photographers “agents of death,” because they freeze the subject and the moment into finitude.” Sebald’s novels as a whole tend to do something similar: to freeze the disturbing history of modern Europe both in order to preserve it, and to help block its return. 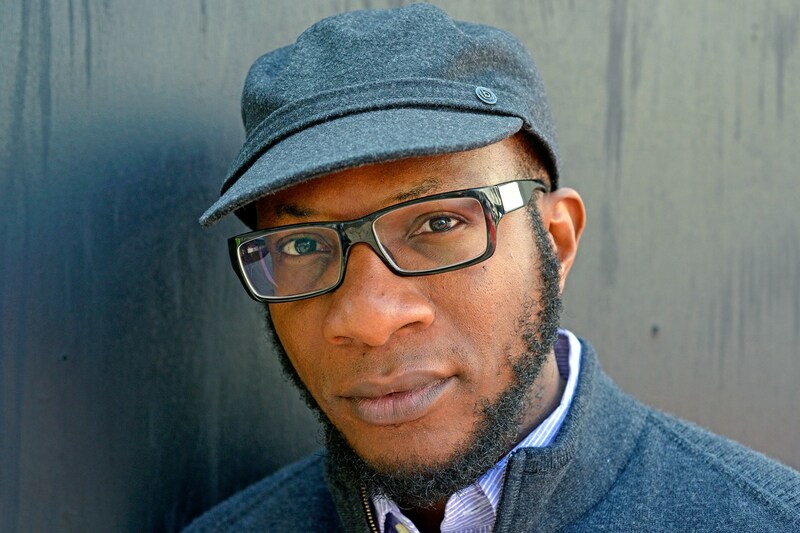 Teju Cole, a Nigerian-American, was born in 1975, making him conspicuous in my comparison as the youngest of the three authors, as well as the one who was most influenced by both of the previous writers. He openly and enthusiastically speaks of Berger’s influence in many public dialogues, including a valedictory celebration of that writer’s life after his recent death. He has dedicated at least two essays to Sebald, including one story of how Cole visited his grave near Norwich, England. 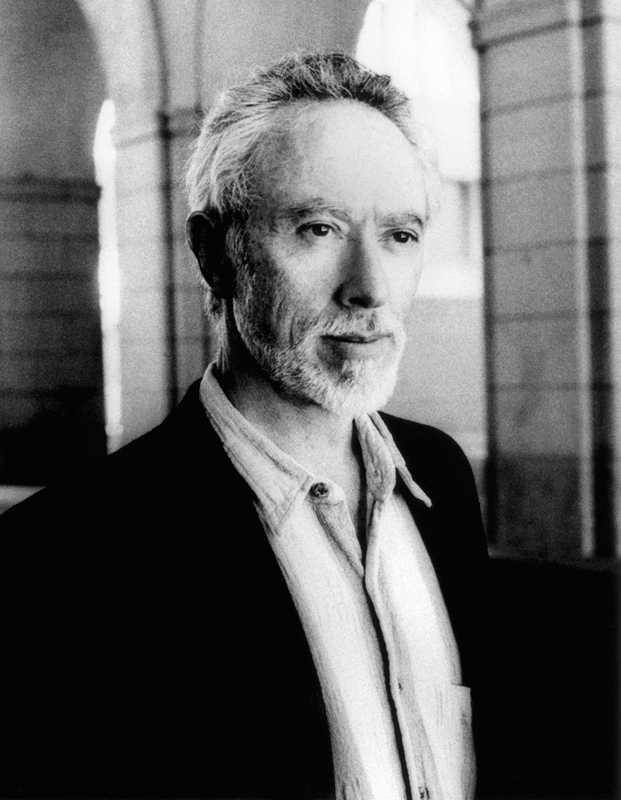 Cole’s first novel, Open City, was widely praised and widely noted for following a Sebaldian construct–a narrator, apparently similar to the author, wandering and meditating on modern cityscapes and the history they conceal, and engaging in intellectual but emotionally fraught conversations with friends and strangers along the way. 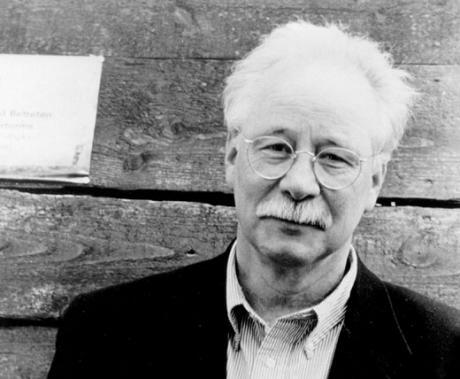 As with most of Sebald’s works, we gradually learn of secret crimes and forgotten traumas that are not-so-neatly hidden away in the subconscious. It is a powerful and important debut novel. Cole’s second novel, Every Day is for the Thief, does not appear to be a novel at all except that it is labeled as such. It tells of the narrator’s visit to Lagos after over a decade’s absence. It is partly a travelogue, partly a story of the corruption that has so pervaded Nigerian society as to pervert even human relationships. Cole is a notable photographer and critic, as well as a popular Twitter writer until finally closing his account. Many of his essays appear in his recent collection Known and Strange Things (2016). This book is divided into three parts on writing, photography, and travel. The whole reveals an almost impossibly thoughtful, erudite, and wide-ranging mind. Every essay is littered with references to poetry, art, history, as well as popular culture. One fantastic review of A House for Mr Biswas is preceded by an essay telling of how Cole came to be invited to a dinner with “Vidia” Naipaul. After the dinner Cole and Naipaul flip through a Mark Twain first edition and laugh together at his witticisms. Naipaul is taken aback when Cole beats him to the punch in comparing them to La Rochefoucauld. Despite this, Cole is unsparing in his appraisal of the Nobel laureate’s personal faults. The essays in the photography section are so well-done as to have captured my interest even though I know nothing of that craft. It has prompted me research many of the named photographs and artists and begin taking more note of photography in general. I think the best piece in the collection is the strange, short, stream of consciousness essay called “Unnamed Lake”. It was supposedly written in one sleepless night as Cole’s mind wandered variously between the Tasmanian tiger, Derrida, Furtwängler’s version of the Ninth, concentration camps, the Biafran War, and the atomic bomb. The book’s final section on travel is more explicitly autobiographical, personal, and political than Cole’s usual work. In one piece he reflects on a six-month paid residence in Switzerland, in which he walks in James Baldwin’s shoes. He writes of the troubling disconnect between Obama’s rhetoric and his escalated drone killings. He writes of Joseph Kony and the white savior complex. He writes of a trip to the Mexican border and a Berlin-style piece of the wall he brought back. He rewrote the first lines of famous novels as if they were all part of a drone assassination report. Everything he writes makes you think, often long after you’ve finished reading; like the best essays, everything in this collection not only warrants a rereading, but it is essential to do so, which is the greatest praise I can give to a writer. So where does this leave us in regards to my original question of the relationship between art and politics? I do not have a final answer, and do not think there exists a final answer. Rather, every work by every artist is part of an ongoing dialogue between every other work of that artist, as well as his interlocutors, and the world around her, both past, present, and future. An artist can make politics her raison d’être, like John Berger, or deal with it occasionally or obliquely, per Sebald and Cole. All three artists have benefitted from their personal freedom to create, living and working as they did in countries of the post-war western democracies. I would not say that any of them engage with politics in their art as a result of personal traumas or limitations, but rather due to their sense of humanity and the cold injustice of history. If any of them had been born a few decades earlier, or possibly later, or in another country, they could have possibly been killed or imprisoned for their art. Insofar as all three writers understand this, I would guess that they understand freedom more globally than just their personal ability to create art. As Geoff Dyer writes in his introduction to Berger’s Selected Essays: “The ‘invasion of literature by politics’ may have been inevitable but Orwell was somewhat grudging about having to forgo the single-minded literary devotion of Henry James in favour of the manifold obligations of pamphleteering (though his distinction as a writer depends precisely on this abandonment). For Berger, there was no tension or regret on this score. Responding to his critics in a letter to the New Statesman (4 April 1953) he insisted that ‘far from my dragging politics into art, art has dragged me into politics’.” What is necessary to the artist, beyond mere survival, is the freedom to produce art. This underlines the fact that whether or not “art” is political, its existence is always predicated on a set of political circumstances that are either more or less “free”, and thus more or less open to art. This counts whether or not the artist subjectively considers politics as something that happens around us without our control, or something we choose to value or fight for. No matter what politics she claims, defending this freedom should therefore be the central preoccupation of the artist.